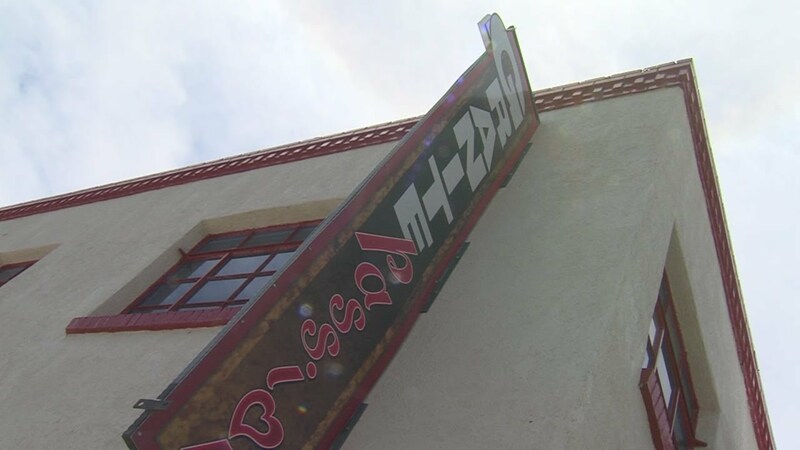 What Makes Granite Passion Special? 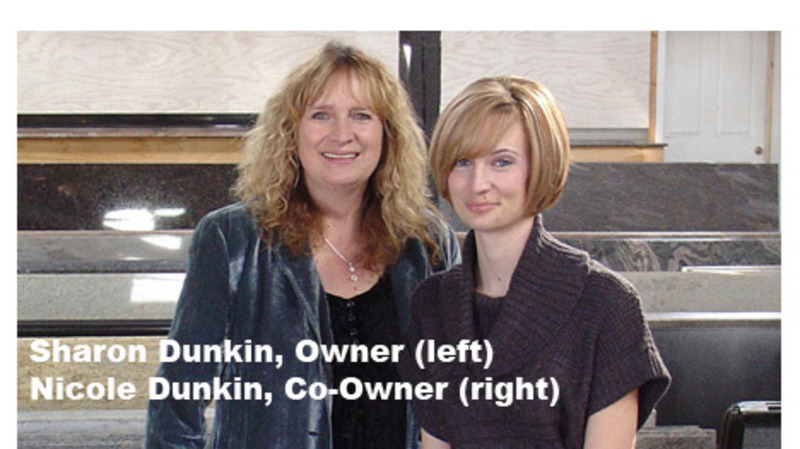 Watch as owner Nicole Dunkin explains the process — from selecting stone directly from the quarries across the globe and cutting it to size to reduce waste (and your costs), to efficiently installing your new countertops in only one day. Granite will be your passion, too! There is no other product available as hard as granite. It is harder than steel, so if you want to cut veggies on your new countertops, have at it! The granite will not scratch. The stone was formed under immense heat and pressure about 2 billion years ago, so it can handle your red-hot saucepan from the stove. 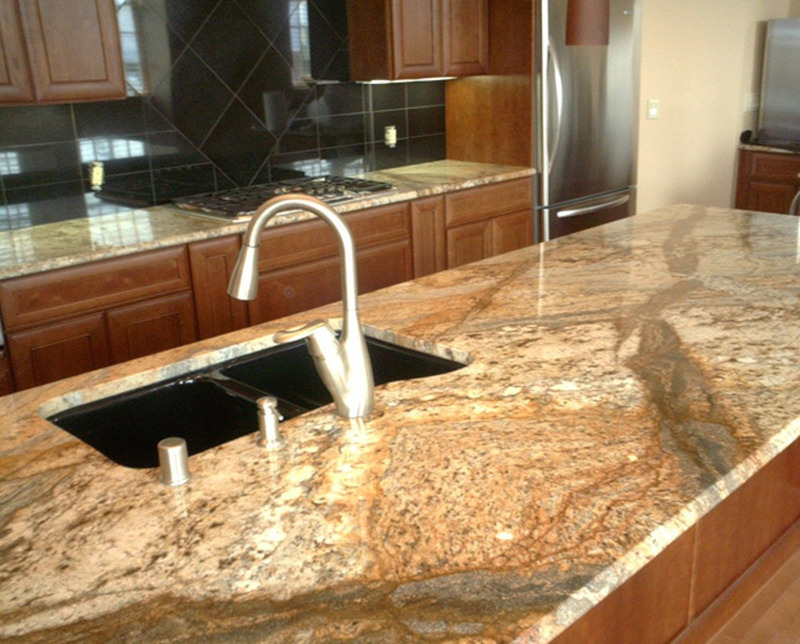 There are good reasons why natural granite has become the gold standard in countertops. Granite is quarried in a wide variety of colors and patterns, with each slab as unique as a fingerprint. Some granites are fairly uniform in pattern. Some, such as the Juparanas from India, have dramatic flowing designs throughout. See our Granite Colors page for examples. It is now widely accepted that any home valued at the median price or higher is expected to be sold with granite counters. The sale price and length of time on the market is very positively enhanced by updated kitchens. Prices of granite have remained steady  and even reduced  for the last few years as production worldwide has increased. Synthetic materials and transformation products are mainly oil-based and have risen in price. Compare prices and the value will become evident. Our pre-cut and polished granite slabs come in convenient sizes for easy installation. Countertops measure 9 feet wide by 25-1/2 inches deep, are profile edged on the front and both sides, and conveniently fit all 24 cabinets. Backsplashes measure 9 feet wide by 4 inches high, profile edged on top and both sides. Island and peninsula pieces measure 8 to 9 feet wide by 36, 44 or 51 inches deep, profile edged on all sides. We also offer larger slabs and special orders for custom jobs. For first-time granite owners, there are a lot of question. If you don't find your question answered below, please call us. Can granite be used in food preparation areas? Granite is an excellent product for use in kitchens and other food preparation areas. Under normal conditions, it is stain, chip, scratch and burn resistant. 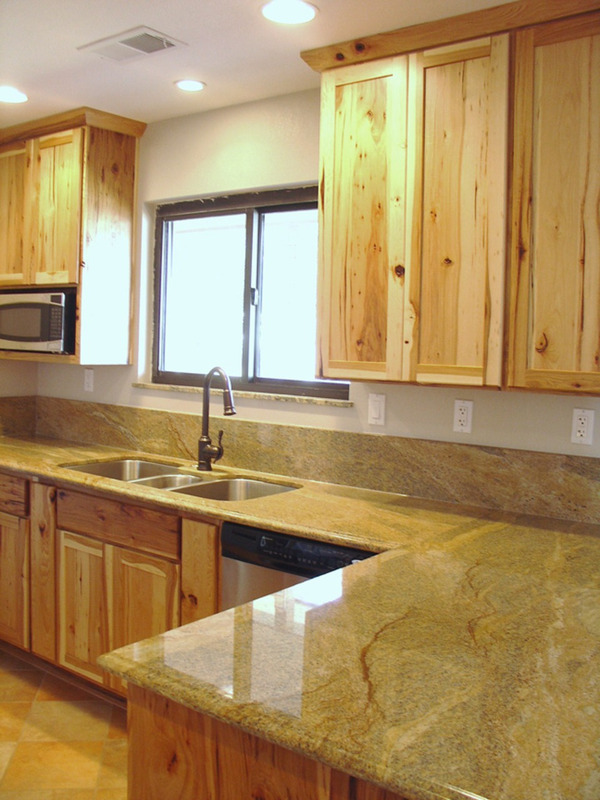 Like any other countertop material cleaned regularly and properly, granite poses no health or sanitation problems. Granite is an extremely tough, durable material and, in most cases, can be used as a cutting surface without fear of scratching the stone. Be aware that repeated cutting on granite will dull knives. Can you set hot pans on granite? Granite is ideal for kitchens because, under normal conditions, it will not burn and will not be harmed by hot pans or open flames. It is not flammable. What's the difference between 2cm and 3cm stone? The 2cm stone is approximately ¾ inch thick, ranging from 5/8 inch to 7/8 inch in thickness. The 3cm stone is approximately 1-3/16 inch thick, ranging from 1-1/16 inch to 1-5/16 inch in thickness. 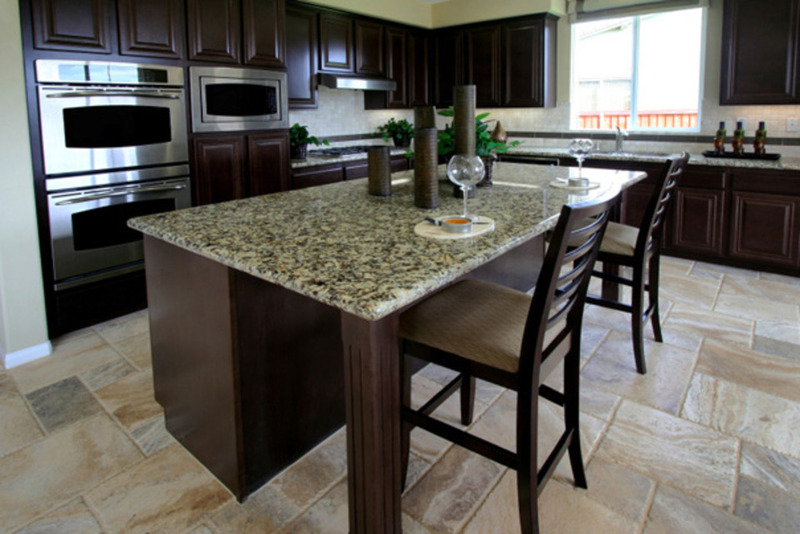 How does granite compare to other solid-surface countertops? 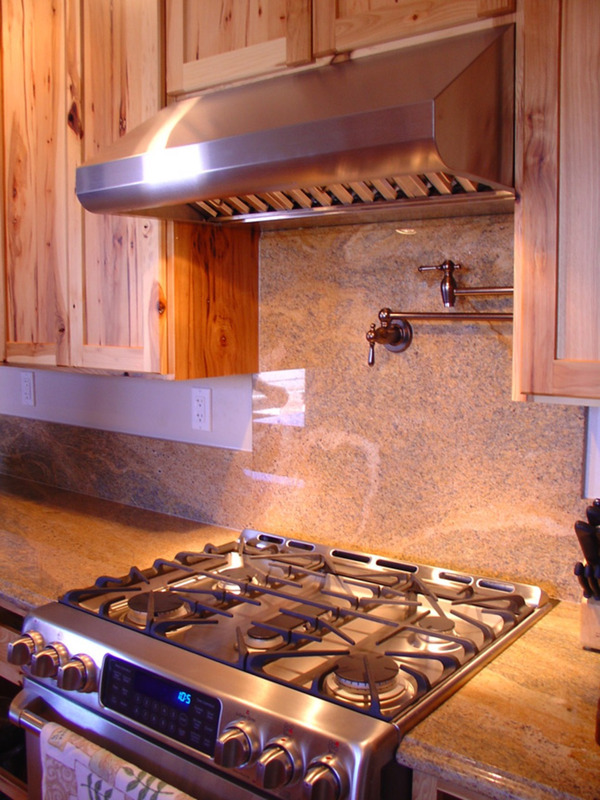 Granite is one of the most durable, maintenance-free countertop materials available. Granite is a natural material made of very hard igneous rock that is second only in hardness and compacted strength to diamonds. As a result of its geological composition, granite is stain, scratch and burn resistant. Easy to care for and much desired for its natural beauty, granite as an investment amortizes over time, retaining its original appearance long after initial installation. In most cases, granite countertops fall within the same price range as other high-end surfacing materials. 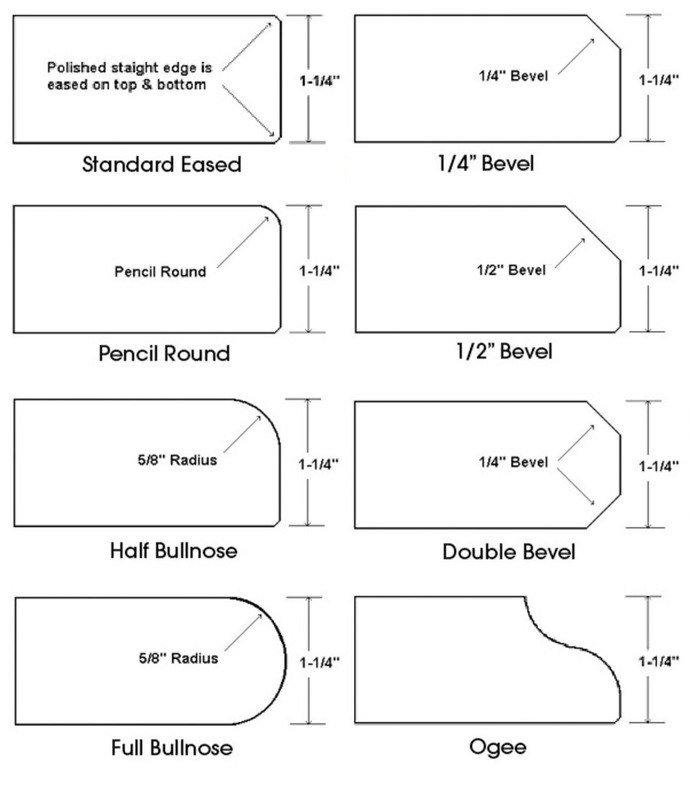 What different kinds of profile edges are available for granite countertops? There are many different profiles available. Our standard edge is eased and beveled for a clean, contemporary look. Other profiles are available to order. How do I care for my granite? Granite is very easy to maintain. After installation, granite should be sealed once or twice a year. We use 511 Impregnator. This sealer can be purchased at Home Depot or Lowes. It is very easy to use. It is just like cleaning your countertops. Use a clean, dry cloth to apply the impregnator. Then polish with another clean, dry cloth. If you prefer, we can recommend companies that offer a sealer with a lifetime warranty. As for cleaning the granite, it is very easy. We like to use a product called Method Daily Granite Cleaner that is available at Target. There are also other products you can pick up at different stores that can be used on granite.